Specifically this GR card is Luna’s new ace G Unit she used against against Kazuma: Parallel Megatrick, Fairfield! 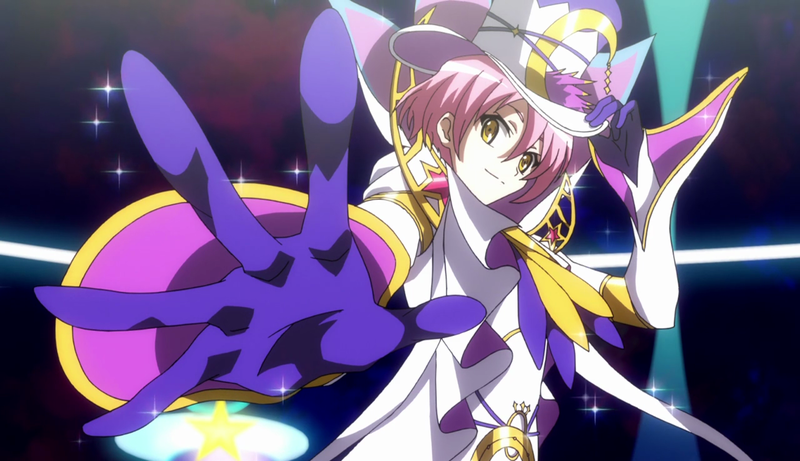 Magia – ACT (VC) 1/Turn Generation Break 3: [Counter Blast 2 & Choose 1 card from your Drop Zone and Soul each, return them to the Deck] Choose 1 card from your Soul, Call it to (RC), during that turn, Power+10000/Critical +1 and “ACT (RC): [Soul Blast 2] During that turn, this Unit gains Power+5000, this Unit cannot be chosen by a card effect.”, then shuffle the Deck. When that turn ends, that Unit is placed into the Soul. That’s all there is for this week, as this is the last week before Rummy Labyrinth in the Moonlight drops. Next month should be covering The Aichi Legend Deck and this year’s Fighter’s Collection, I think.